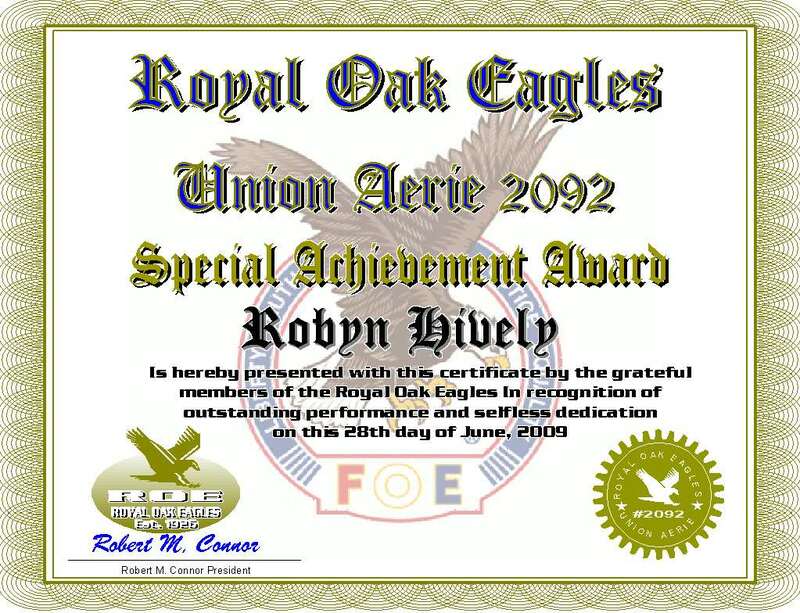 Each year the President of the Aerie awards a Plaque to members who have displayed exemplary conduct throughout the previous year. 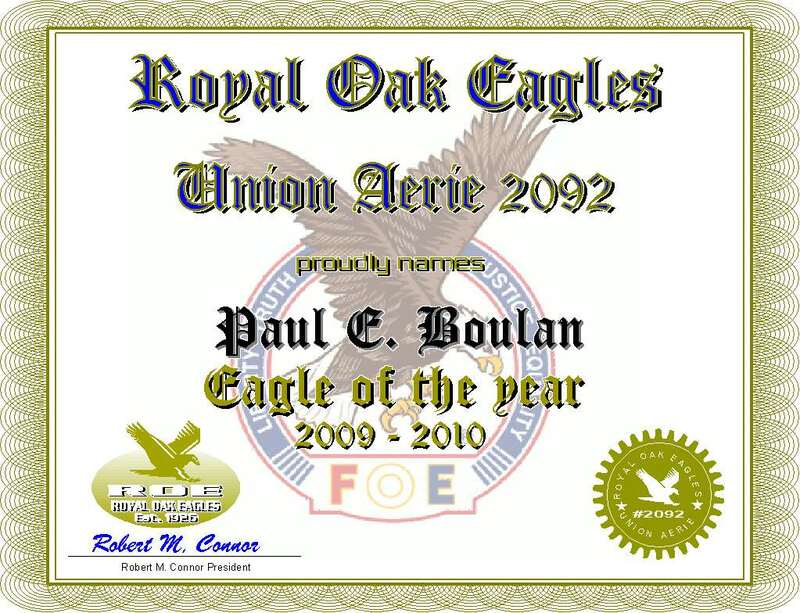 Here are this years recipients for Eagle of the Year and Father of the Year. Congratulations.